Professional musician Andrew Benzie has been performing throughout the San Francisco Bay Area for over 25 years as both a bass player and a drummer, and has been teaching private music lessons from his state-of-the-art studio since 2002. Andrew currently performs with several groups including Lewiston Jazz (drums). 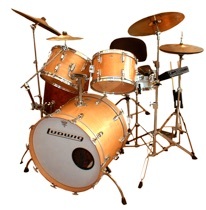 Andrew is currently accepting new bass and drum students. Lewiston Jazz’s latest recording, Undertow (featuring Andrew on drums), has been released.